Kids are going to flip when they make this Dancing Science Project that will actually dance! This is such a fun science experiment for kid of all ages. Kids are going to flip over this outrageously clever science experiment! This experiment is easy to set-up and will be lots of fun for kids of all ages. 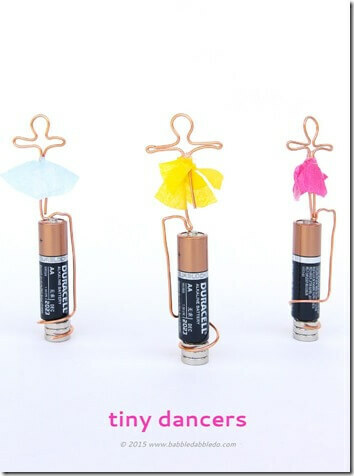 Get the directions for tiny dancers from Babble Dabble Do.